Spiral Paper Tube & Core was founded by George Hibard Sr., a US Marine and World War II veteran, nearly seventy years ago. A machinist by trade, he designed and fabricated most of our first machines. From 1949 to 2004, we were located south of downtown Los Angeles at 8802 S. Graham, Los Angeles, CA 90002. Bursting at the seams, we needed a bigger building, more more efficient transportation, and additional office space. Originally, we manufactured spiral paper tubes such as garment tubes, tape cores, and mailing tubes. All were, and still are, relatively simple to manufacture and serve a wide audience. Over the years, we’ve explored more industries, discovering even more spiral paper tube needs. This has resulted is us making smaller diameters, larger diameters, shorter tubes, longer tubes, thinner tubes, thicker tubes, as well as adding custom paper, plastic and metal end closures. 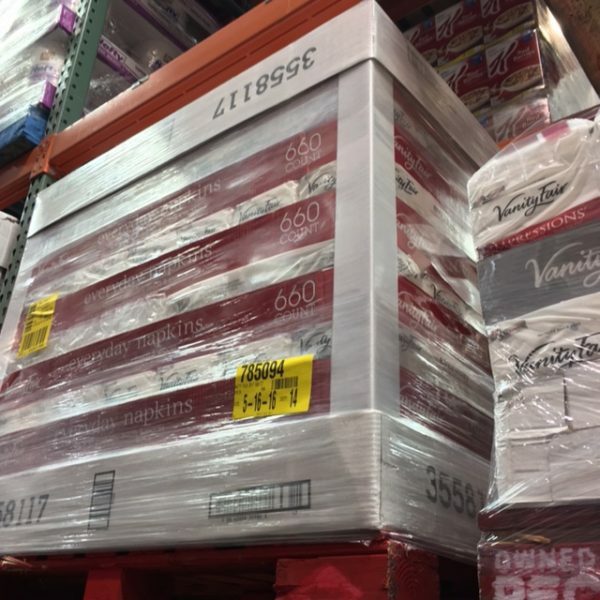 Invisible to most retail consumers, this v-shaped corner protector can always be seen at big box retailers such as Costco and Sam’s club on pallets of merchandise still shrink wrapped on the shelving. With nearly seventy years of business under our belts, we’ve learned, grown, adapted, and have enjoyed serving Los Angeles with our paper packaging and shipping products. We’re looking forward to another seventy! Can You Identify the Edge Protectors? Did you select the middle image? Congratulations! Edge Protectors are also known as Corner Protectors. They’re used to protect edges and provide additional column strength when used vertically. In the picture above, they’re being used to do both. Why Are Edge Protectors Important? When paper is initially made from wood, it has long, strong fibers. Each time paper is recycled, the fibers are shortened, reducing its strength. A common egg carton is the end of the road. The paper has been recycled so many times it has no structural strength. It’s barely strong enough to hold a dozen eggs. It’s more economical for corrugated box makers to use recycled paper to make boxes. The higher the recycled content, the shorter the fibers, the weaker the box. The majority of business-to-business shipments (boxes) are sent on wooden pallets, which is why Edge Protectors are needed. Low-quality boxes are set on pallets, with an edge protector placed on each of the four corners, then stretch wrapped. Together, the wooden pallet, weak corrugated boxes, and thick Edge Protectors create a sturdy shipment. It’s more economical for businesses to combine a cheaper, low-quality box with Edge Protectors than it is to purchase corrugated boxes made with less recycled content.